How to setup VPN on Windows XP, VISTA, MAC (Leopard) and iPhone! Now check the box to add a connection to your desktop and press Finish. Click your new connection to connect. Open up the Control Panel from the Start Menu & double click on the Network & Internet Connections icon. Under Networking and Sharing Center, Click on “Connect to a Network”. Now enter your Username, password, check “Remember this password” and press Create. In the Network and Internet screen, click on “Connect to a network” again. In the Connect to a Network screen, you should see the connection that we have set up. Right-click on the connection and choose “Properties” from the menu that appears. From the Properties, click on the “Options” tab. Make sure the checkbox labeled “Include Windows logon domain” is unchecked. Now, click on the “Internet Protocol Version 4 (TCP/IPv4)” item in the list and click the “Properties” button. The “Obtain an IP address Automatically” needs to be selected. “Obtain DNS server Address Automatically” needs to be selected too. Click the “OK” button. Click on the Apple Menu > System Preferences > Network. Click on the ‘+’ button to add a new Network Connection. In the next window enter the following information: For Server address, type in server address/IP given to you. For Account Name, type in your vpn login details. Click the Advanced button and under the Options tab make sure to check “Send all traffic over VPN”. Click OK. Choose Settings > General > Network > VPN and then choose Add VPN Configuration. Ask your network administrator which settings to use. Once you’ve created a VPN configuration, the VPN switch at the top of the VPN Configurations list can be used to turn VPN on or off. Click Add and follow the wizard to begin configuration. Enter a name for the connection, and the address/ip of the VPN server. Under Advanced you must also check: “Use point to point encryption” and “allow strateful encryption”. From the drop down menu select “128 bit encryption”. I can give a proposition for business owners! If you are willing to get maximum benefits of your online business, you must use back links and article submission site. You will surely find positive modifications! Is it true that most Macs come with a VPN? A friend of mine has a MacBook and says Cisco VPN is already on her system. 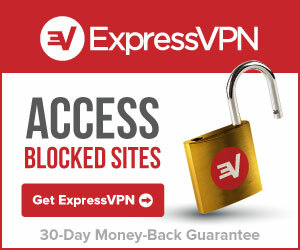 I use a PC and bought into a VPN provider last year when traveling abroad. 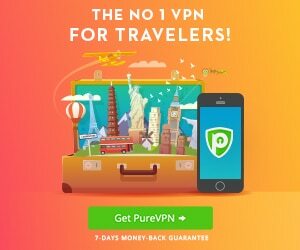 My employer guided me to VPN4all.com – which he suggested to other employees in my company when traveling. He informed me that a lot of these names out there offer either a cheap price for a cheap service or a big price for services that the average person doesn’t need. To share a vpn account on your router you will need to flash your Linksys router with the DD-WRT firmware and it will then be able to connect and share a PPTP or openvpn connection. PPTP is simpler. Some providers like StrongVpn and Banana have setup guide for routers, just email them. You can also but a Draytek Vigor router which can also share vpn. Thanks for the guide, but how can I setup a VPN through a router in order to share a connection with several PCs using a VPN provider like Banana? In my home I have 3 PC, and the guide provided above is for only 1 PC. If I want to connect 3 PCs I should buy 3 differents accounts, buts it’s better to configure my router (Linksys) and use only one global account. Can I do this? Do you know how with a linksys router? Here there are some examples given by linksys, but they are to connect 2 VPN routers through the internet, not to use a single router with a VPN provider. Can someone help me whether is possible do this? Thanks a lot for sharing this information have really proven to be helpful. I really enjoy reading easy articles leading straight to the point.